Digiarty announces today the continuation of giving away WinX HD Video Converter Deluxe after the ending of that on GOTD. The acquisition is to last until Jan.19, 2014. Digiarty today announces an official start of WinX HD Video Converter Deluxe Giveaway in the second phase of its Christmas promotion. The availability of DVD ripper Christmas coupon also proceeds. As 2013 Christmas draws near, Digiarty is confronted with the countdown of the first round of Christmas deals. It emphasizes that there are only three days left to get a DVD clone software license code as Christmas gift. Digiarty rolls out a Christmas giveaway that runs in two rounds. WinX DVD Copy Pro is singled out as the first round free gift from today to December 22. Digiarty today announces its recruit plan among bloggers, webmasters and forum administers who have interest in running contests and sweepstakes with the software licenses provided by it to gain more subscribers and followers. WinXDVD.com started 2013 Thanksgiving Shopping Season earlier than usual far before the Black Friday comes. Now the thanksgiving promotion with software compatible with PS4, Apple TV 3, Note 3 and Surface 2 is already in high gear and staging the second round. Digiarty Unboxes Brushed-up HD Video Converter for Mac - Biggest Update Ever! Digiarty Software Inc. unboxes the brushed-up HD video converter for Mac, subject to the biggest update historically, featuring new supports for more input/output formats, photo slideshow creation, video recording and editing, and much more. Digiarty Software announces the curtain-up of Halloween giveaway, by far the biggest bargain of the corporation and the first time to give away WinX DVD Ripper Platinum Halloween Edition in 2013, valid from Oct.21 to Nov.4. Today, WinXDVD.com sends the Advance Notice and invitation of 2013 free Halloween gift promotion to all people on the earth, featuring a mysterious big present, Halloween deals and free YouTube downloader and DVD burner programs. Predating 2013 Halloween that many people has long coveted, Digiarty Software Inc. shows all movie fans the ropes of backing up must-see Halloween film DVDs such as World War Z, The Conjuring and Evil Dead to PC, iPhone, iPad, Android, etc. WinXDVD Software Renovates 1st Wave of Free MP4/MOV/AVI/WMV Video Converters! WinXDVD Software commences the first wave of free video conversion program renovation. By far, 10 video format converters have been filled with richer output formats, extra video editing function, and overall MP4/MOV/AVI/WMV video converting performance surge. Digiarty has updated four most popular iPhone iPad video programs with new UI, video editing features and rectified input and output formats. Plus, profiles of all new iOS 7 devices such as iPhone 5S/5C, iPad 4 and iPad Mini have been added correspondingly. Digiarty Adds Full Support for iPhone 5S & 5C in DVD Ripper & Video Converter Software! Digiarty updates all mainstream iPhone related DVD rippers and video converters and made them compatible with Apple's newly announced iPhone 5S /5C, each having a 1136x640 4-inch display screen. Today, Digiarty releases the updated WinX HD Video Converter Deluxe (V4.2.0), geared with a new photo picture slideshow creating feature. English, Japanese, Chinese Simplified and Traditional versions are all available. Digiarty's Android video converter was reviewed by cnet.com and hailed as the software "better than basic", "easy to use" but "not stripped down in features or performance", according to the editor. Digiarty Software drills deep into a budgeting tip for students to watch DVD videos on iPhone iPad Android to art up the digital life using the DVD backup software. A New School Year Project has also been initialized correspondingly. WinXDVD sparks off online back to school sales on the heels of the 2013 summer holiday that draws to a close. One of the most top rated activities is the giveaway of a mobile video conversion software open to all back-to-school shoppers lasting till Sept 30. Four Programs from Digiarty have been updated in full armor for the New Google Nexus 7 with Android 4.3 and a 1920x1200 resolution. Corresponding profiles were added for ripping DVD and convert videos for the new Nexus 7 tablet. Digiarty suggests several ways to avoid Android Trojan and Malware for users used to watching videos on Samsung, HTC and other Android phones and tablets. The result points out that the most killing-all method is offline movie watching. This week, Digiarty cheerfully announced the official release of painstakingly developed and repeatedly tested WinX HD Video Converter Deluxe 4.0.0, and celebrated it with an unlimited giveaway before July 25. 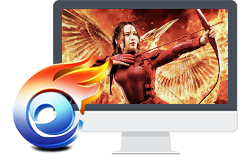 Digiarty is giving away WinX HD Video Converter Deluxe 4.0.0, the latest version, to all Facebook fans to celebrate and test the updates of new UI looks, faster conversion speed, more supported video formats and profiles, video merging and subtitle adding features, etc. To rerun a PC software promotion analogous to the union giveaway last year, Digiarty is kicking off a latest bundled discount deal by joining hands with the developers of EaseUS Partition Master Pro and Uniblue SpeedUpMyPC 2013. To scope out the niche market, Digiarty is giving away WinX Mobile Video Converters for Android unlimitedly from Father's Day to June 30. It helps convert MKV, AVI, MOV and M2TS videos to HTC One, Samsung Galaxy S3, S4, Google Nexus 7, etc. Digiarty Software ushers in two pieces of news this week: the release of WinX DVD Ripper Platinum 7.2.0 and the renewal of summer deals. Correlatively, the fast DVD ripper has been updated with 30+ new mobile profiles and featured on summer promo that has been prolonged to June 20. Giveawayoftheday is giving away the licenses of WinX Mobile Video Converter, a span-new Android mobile video converter that has just joined in Digiarty's product line, for all Samsung, HTC, Apple and Google users from Children's Day, 2013. 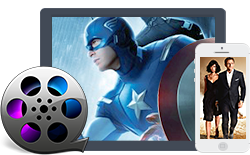 Winxdvd.com released a new mobile video converter software for Android that has good 200 profiles and blazing "Video-to-Android" feature to convert any videos to be Samsung Galaxy S4, The New HTC New, Amazon Kindle Fire and other Android devices compatible. Thanks to 2013 summer sales, WinX DVD Ripper Platinum license code is as low as $11.95 per copy, which helps rip and backup, while saving more, upcoming DVDs like Iron Man 3, G.I. Joe: Retaliation, A Good Day to Die Hard, The Croods, etc. Today, Digiarty starts the first round summer sale, in which WinX DVD Ripper Platinum is stuck out for "Best DVD Ripper Software in the World, Lowest Price Ever" as voiced. It is a cost-effective channel to get a high-end personal DVD backup tool before June 2.